It's time to change your New Mexico Registered Agents! What is a New Mexico Registered Agent? The state of New Mexico requires New Mexico LLCs and New Mexico Corporations registered in the state to conduct business, have New Mexico Registered Agent service. The New Mexico Registered Agent you appoint for your company, will receive legal service and government notices on your behalf. The Articles of Incorporation or Organization for both domestic and foreign entities, ask for the address of the registered office to receive service of process. The Service of Process is a notice of a summons or a lawsuit. I just received the New Mexico registered agent signature. You guys are fast. Thank you. After speaking with David at IncSmart, we ordered the New Mexico Registered Agent service for our new business. We received the agent information right away by email. The process was very fast. The order form was easy and we used our credit card online. Changing New Mexico Registered Agent service to IncSmart was easy. We placed or order on the web page and the information was sent my email. We just followed the link. Our next task is to remove our old agent who prices have been climbing year after year. Very helpful, and very good prices. You never know about the internet, but IncSmart pulled through with flying colors. This is our third New Mexico LLC. I wish we had found this company sooner. 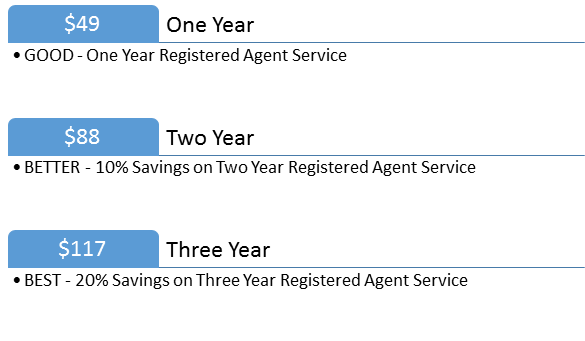 We pay for a year with our current registered agent what IncSmart gives in three. Thank you so much for understanding our limited needs for a registered agent. As soon as we receive a refund from your competitor, I will definetly give you our business for another registered agent for other states we need. Thank you again. 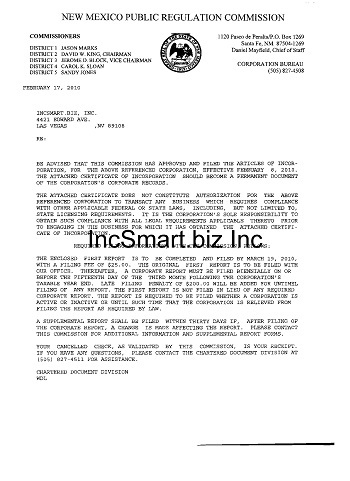 We just renewed for another year with IncSmart and the New Mexico Registered Agent. The staff is very friendly, and the prices are unbeatable. We just received our New Mexico Registered Agent signature in the mail. Thank you IncSmart. And thank you for all the follow up questions we had for our LLC. IncSmart has the best New Mexico Registered Agent fees and service. They were very nice on the phone. Michael helped my file my LLC forms. I will use them for my next LLC in Texas. IncSmart has great service. They also helped file our New Mexico LLC. It is the best state for anonymity. We changed our current agent to the IncSmart New Mexico Registered Agent. The fees for 3 years are cheaper than my current agent for one year. This is a no brainer. IncSmart has the best prices for Registered Agents. The best way to save money is not to spend it. I am glad we found you online. Thank you for telling us about New Mexico. The Registered Agent service was quick. I will tell my business friends about you. Good fees for registered agent in New Mexico. We are opening our new location in New Mexico and we needed the registered agent. 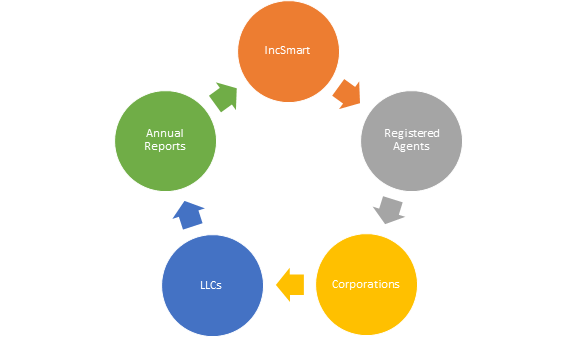 Anyone looking into forming any sort of business entity should look no further than IncSmart. No other company we contacted had anywhere near the level of experience or in-depth knowledge of what possible options were available to us. Anyone considering setting up a business entity of any kind, including all the ancillary activities such as trademarks, patents and etc., you could not do better than IncSmart. We just purchased your New Mexico Registered Agent service. We will be moving our other LLC to you when the service expires with the other incorporating company. It was time to change agents when our current company raised prices again. It's once a year. They don't do that much and they keep charging my card before I have a chance to change agents. IncSmart has very low registered agent fees. 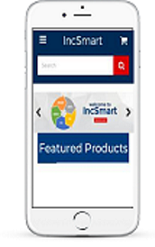 I have been looking for an agent for my clients for years and I finally came across IncSmart. After speaking with David on the phone, I knew this was the right company for me and my customers. A: The $49 fee is only for registered agent service. 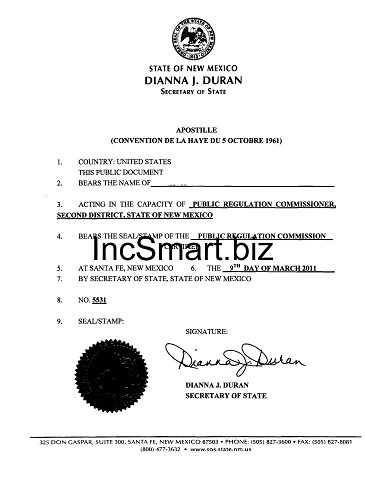 IncSmart can file your New Mexico LLC for you. The total fee for the New Mexico LLC is $148. This includes one year registered agent service. A: IncSmart also has registered agent fees for 2 Years at $88. This is the service we purchased. Q: We are a Missouri corporation who is making a one time sale into Ne Mexico. Unfortunately, it looks like we need to register with both the Department of Revenue and Secretary of state. I see on the Secretary of State form that I need to get your statement of acceptance in order to get registered with the SOS. How long does that take? Also, how long does it typically take to get the registration information back from them so I can proceed with the Department of Revenue? Just let me know when you get a chance. Thanks for your help. A: The registered agent service is instant. Follow the blue link on your order conformation we emailed you. Doing a Foreign Qualification will take over week to get filed. You first have to wait for the Registered Agent signature . It needs to be a wet signature which will be sent by US Post. A Domestic filing is much quicker. You can file online without the Registered Agent signature and it only takes a few days. Q: I am opening my new checking account online. The application is asking for the business tax number. Is that the number that New Mexico gave me when I formed my New Mexico LLC? A: No. YOu need to get a TAX ID or EIN from the IRS. Go to the IRS Web page and file form 2553. The service is free and they will give you your Tax ID or EIN. Q: Does this fee include the fee to the State and the process of Changing the Registered Agent? or is that included if I do two years fee to you? 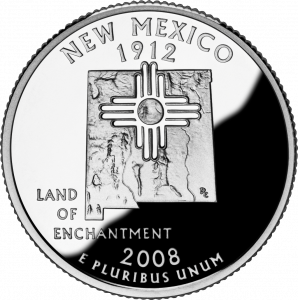 A: The fee does not include the change fee to the New Mexico Corporation Division. The fee to change Registered Agents in New Mexico is $25. We can send in the change form for you however. Let IncSmart know, and we will send an invoice for the change fee. The CHANGE FORM for New Mexico is on the IncSmart web page under "Registered Agent Change"
Q: Is your New Mexico Registered Agent still located in Albuquerque NM? Q: What city is your New Mexico Registered Agent located? Q: Does your New Mexico Registered Agent forward mail from the IRS? A: Yes, all mail from the New Mexico Corporation Division and IRS will be forwarded to you. Q: How long does it take New Mexico to update the web page showing my new New Mexico Registered Agent? IncSmart New Mexico Registered Agent will alert you in a timely manner about all documents and service of process received as your registered agent. The state of New Mexico requires New Mexico LLCs and New Mexico Corporations registered in the state to conduct business, have New Mexico Registered Agent service. The New Mexico Registered Agent you appoint for your company, will receive legal service and government notices on your behalf. The Articles of Incorporation or Organization for both domestic and foreign entities, ask for the address of the registered office to receive service of process. The Service of Process is a notice of a summons or a lawsuit. Now you too can have a New Mexico attorney on retainer.